Unforgivable Mistakes Made in Social Media Marketing – 2ezasia.com – Ignite. Impress. Inspire. 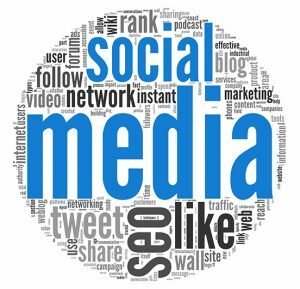 In social media marketing, one must always keep in mind that social media has only been around for a few years, and there is still room for online marketers to make mistakes when meting out a strategy. Without any plans, how is a business going to promote his brand over the internet? There should at least be a plan on how to gain 10% more followers every month, or a plan to post blogs or whatnots on the social networks to gain web traffic. There is so much more in SMM than running a business without a plan on hand. Therefore, a plan is required. For example, when a business has a Twitter account where they can post regular updates on discounts, promotions and events on their activities. Creating an online personality through social media is not a bad idea to start with. With a strong voice to be heard by an audience, giving insightful tips, answering to feedback, or even just chatting with the audience may just bring the business to greater heights. If there is no time to maintain 5 social media accounts, it is not a big issue. Just maintaining Facebook and Twitter accounts are sufficient enough to establish a voice online. If there are not resources to maintain more than the 2 accounts, just do not set them up. Yes, negative feedback may be a bane for businesses, but always stay calm and positive. The internet is filled with people that are out to destroy reputations. There is no way to stop them from doing what they do, but being the bigger person by not falling into their trap will not harm the business’s reputation. Accepting comments and feedback with grace is always the key. The statistics are very imperative for a business, as keeping track of them can determine the posts read, tweets retweeted, page shares, activities and many more. Some of the major social networks offer analytic tools to churn the data, and through this data, one can determine the audience’s response and work from there. Thus, these are the few mistakes one can make in social media marketing. In order to have a better online marketing strategy, one must always plan a great social media strategy for the success of their business.